Barriers or freshwater wetlands? New building codes? What about porous pavements or floating city blocks? These were just a few of the ideas batted around at AIANY’s discussion and fundraiser, “Designing the City after Superstorm Sandy,” at the Center for Architecture last Thursday evening. 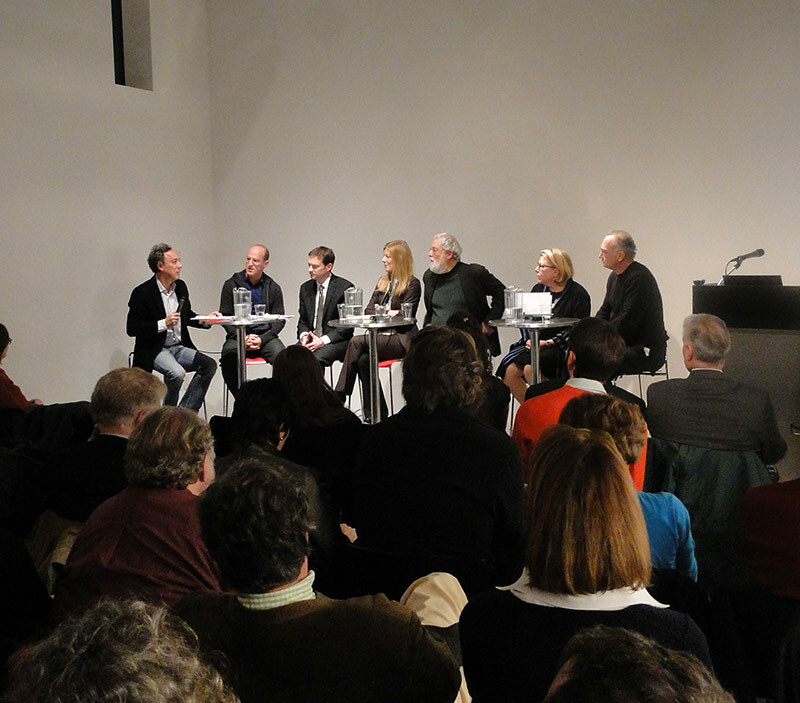 The panel, moderated by Michael Kimmelman, architecture critic for The New York Times, consisted of the city’s leading designers, architects, scientists, and government officials. While each panelist came to the conversation with a different approach and set of strategies, all agreed that change is necessary and new solutions urgent. “There’s a certain consensus about taking steps in the long-run,” said Kimmelman. 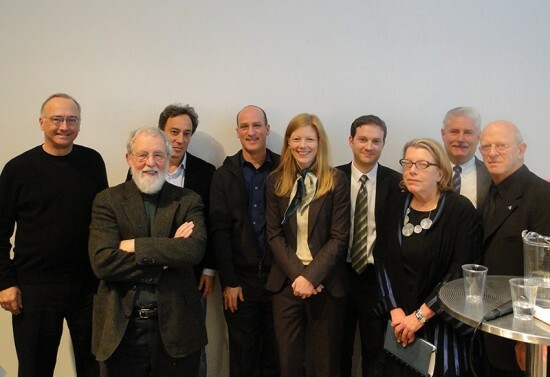 The participants on the panel included Cynthia Barton, Housing Recovery Plan Manager at the NYC Office of Emergency Management; Howard Slatkin, Director of Sustainability and Deputy Director of Strategic Planning for the city; Dr. Klaus Jacob, a geophysicist and Special Research Scientist at Columbia’s Lamont-Doherty Earth Observatory; Stephen Cassell, principal architect at ARO; Donna Walcavage, landscape architect and urban designer; and Robert M. Rogers, partner of Rogers Marvel Architects. Cassell and Walcavage advocate for what they term “soft solutions” such as freshwater wetlands and upland parks that won’t disrupt the balance of the ecosystem as oppose to the much talked about barriers. Dr. Jacob referred to himself as a “barrier skeptic.” He hasn’t completely ruled them out, but believes that other preventive measures should be considered, including regulations and large-scale regional planning with New Jersey, Connecticut, and New York. 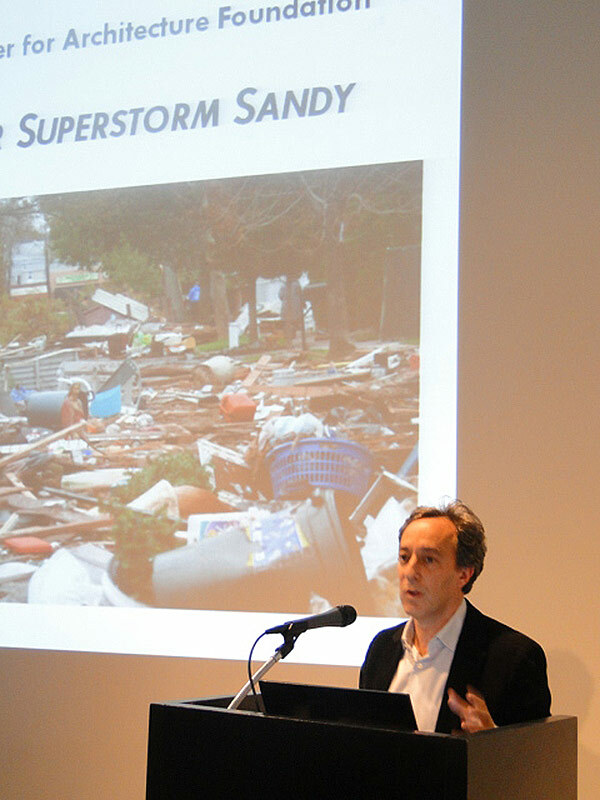 Many of the participants argued that Hurricane Sandy is a turning point, and there’s simply too much at stake. Rogers pointed out that New York City is a “grid of real estate” and the significant investment in waterfront property will prompt developers and the city to be pro-active whether that means implementing new codes and regulations or altering the landscape by creating saltwater marshes to act as buffers against rising sea levels and storms. A few panelists suggested that an improved version of Robert Moses would lead the way or joked that perhaps a benevolent god would appear. Even though Kimmelman remained ambivalent and questioned why strong and cohesive leadership would emerge now to help facilitate change, it looks like the city is already taking action. City Council Speaker Christine Quinn has asked the Urban Green Council to launch a Building Resiliency Task Force, which will consist of leading professionals in New York City real estate. In an announcement last week, Urban Green said that the Task Force’s main objective is “to take an in-depth look at how to better prepare our buildings for future storms and infrastructure failures.” A list of recommendations will be released in summer of 2013.